MTN, in partnership with the MTN Solution Space and Jumia, are proud to announce the launch of the MTN Entrepreneurship Challenge powered by Jumia. The Pan-African competition launching today, will be the first of its kind in Africa, bringing together over 1000 entrepreneurs, students and investors, to collaborate on ways to amplify and consolidate the continent’s entrepreneurs. Targeting more than 60 universities in 13 countries across Africa, the competition will challenge students to develop a unique digital application or smart solution that will solve a tangible problem faced on the continent. Our review team (encompassing campus captains and selection committee) will be evaluating applications according to four main areas (which are underpinned with more specific criteria). Particularly, participating teams should make sure that their business plans will: fit to African market, be operationally feasible, be innovative and contain relevant financials. Teams may be comprised of 2 or 3 individuals with at least one member currently enrolled at in an African university or a recent graduate (Academic year 2014 – 2015 or 2015 – 2016) of an African university. The winner of the MTN Entrepreneurship Challenge powered by Jumia will win a cash prize of US $25 000 towards their start-up, and will also benefit from a yearlong partnership with Jumia, where they will have the opportunity to work from any of JUMIA’s offices across Africa. This will enable the winner to learn from, and be mentored by experienced and successful entrepreneurs in the JUMIA network. The winner will also have access to a Facebook Start Program to the value of US $15 000, which includes tools and services needed to build mobile applications. 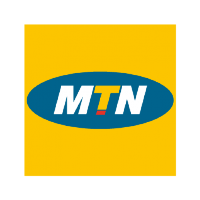 In addition, they will have the opportunity to work from the MTN Solution Space at the University of Cape Town’s Graduate School of Business. The two runners-up will each receive US $5 000 towards their projects. 1st – 8th April, 2016. The MTN EC by JUMIA uses the Website application platform to manage applications. To enter, the designated team leader should complete the online enrollment form. Note: Application, Executive Summary and Video Pitch (optional, but highly encouraged) must be completed no later than 23:59 pm GMT, Sunday, March 27, 2016. Kindly Click Here to Visit and Like our Facebook Page or follow us on TWITTER (@scholarshipNG), BB Channel (C001A507B) for prompt updates on more opportunities.